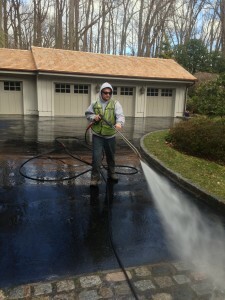 Superpwash » Services | Super Pressure Wash Inc has been washing and maintaining a wide variety of surfaces and equipment for a number of years now. Your roof type will determine our approach and process. For Asphalt or Composition Shingle Roof we use a low-pressure system that washes away all the dirt and moss without damaging the precious granules and maintaining its life cycle. 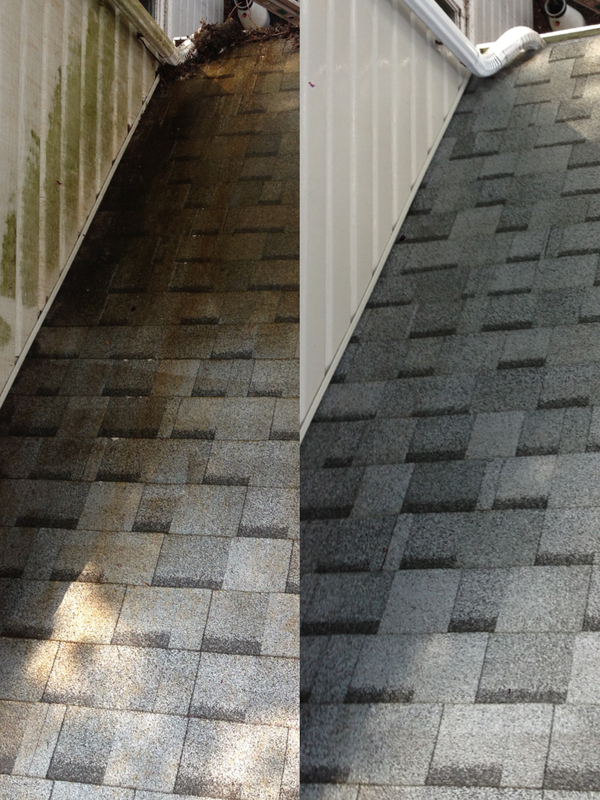 Our special blend of chemicals and hot water will revitalize your metal, slate or concrete tile roof. 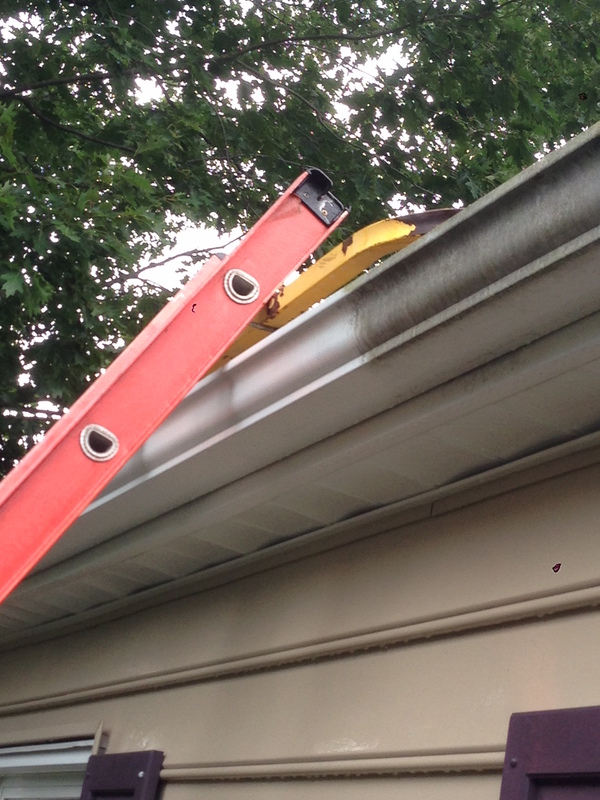 Clean and shiny gutters are the key to your home’s look and protection from water damage. 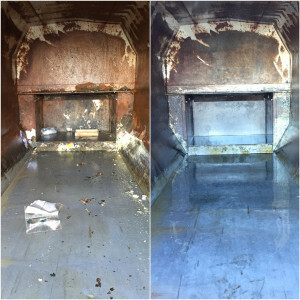 We can remove clogs from debris, residue and black lines caused by oxidation. Our unique products and persistent brushing methods will make your gutters look and work, as they should. Clean windows allow extra light in and make your home brighter and feel bigger. The combination of our specific product and process ensures that your windows will look sparkling. We use pole extensions and in certain cases lifts for extra tall windows. Our rinse, soap, brush and wash procedure will give your home a fresh new look. Siding keeps your home warm and protected from external elements. 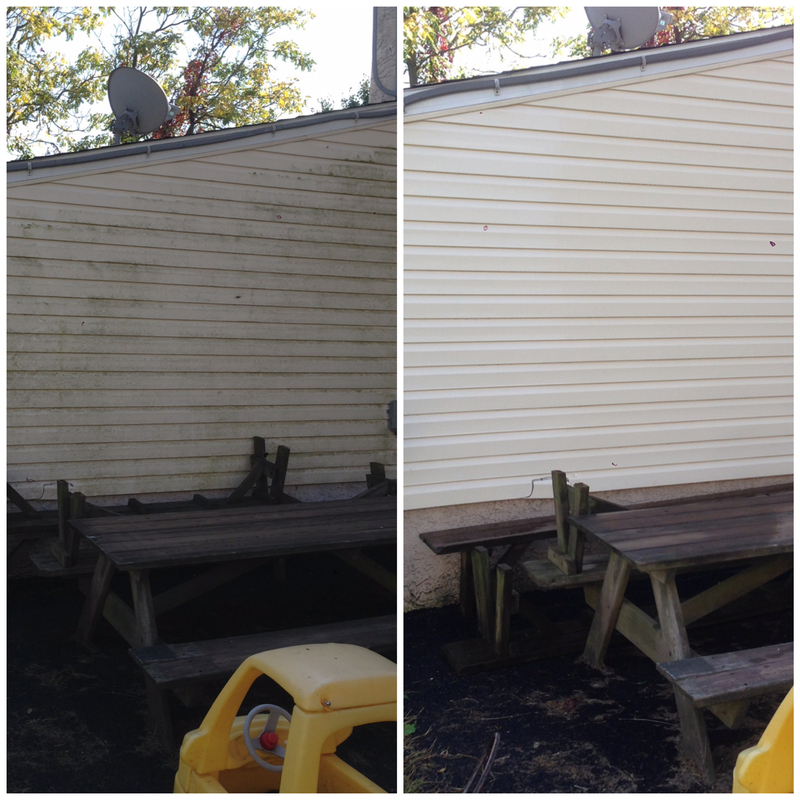 Mold, Mildew and other unwanted growth can shorten the lifespan of your Vinyl, Aluminum or Wood Siding. We apply a distinct detergent combination designed to remove organic growth and day-to-day grit and grime. 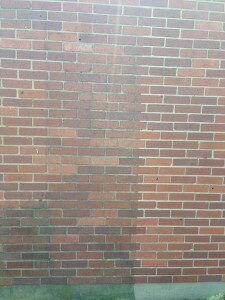 Our harsh North East Weather can severely impact the external aspects of your home. Clean Stucco and Brick helps to maintain the integrity of the materials by uncovering maintenance needs prior to more serious deterioration. In addition freshly washed stucco, brick or stone increases the curb appeal and resale value of your home. Your deck and patio need regular care and maintenance. Left to Mother Nature wood will dissipate and concrete will crack. Dirt and Grime will make your Vinyl deck look much older than it is. 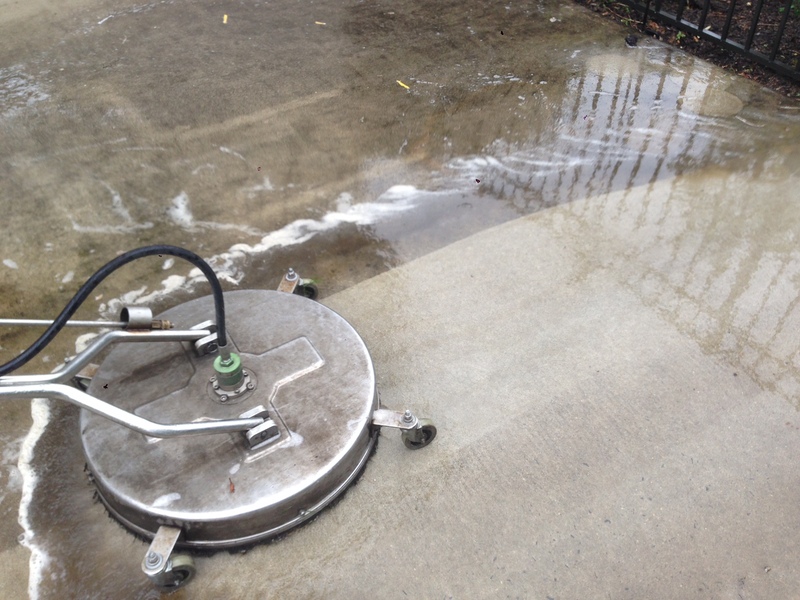 We use industrial level floor scrubbers to remove every speck from your deck or patio. Staining you deck after washing will add a few years to its life expectancy. Just like Patios and Decks Swimming Pools and its surrounding areas can get dirty and unpleasant very quick. Continuous use and enjoyment of this wonderful feature leaves its impact. We advise to wash and scrub these areas at least once a year. Your pool should stand out and clean perimeter around it will do just that. Our shoes and tires leave marks and imprints on our driveways and sidewalks every day. As seasons change these marks accumulate and combine with day-to-day dirt and grime. Our special floor scrubbers in addition to a 2-part soap remove all of the unwanted particles. We suggest an annual cleaning of these high traffic areas of your home. UV rays of the sun, pesky teenage neighbors or other external factors can affect the condition and appearance of your fence. We use properly adjusted tips, which control the angle and pressure, needed to work on the surface. Whether you want to re-stain the wood or re-shine the vinyl we can help. Schedule an appointment today. Our clients take pride in their businesses. They want their Apartment Buildings, Office Buildings and Warehouses to look pristine as a reflection of them. Our team of skilled experts will rejuvenate your building’s exterior surfaces like stucco, brick and siding. Mold, mildew, dirt and grime stand no chance. We have access to necessary equipment to handle buildings of all sizes and shapes. 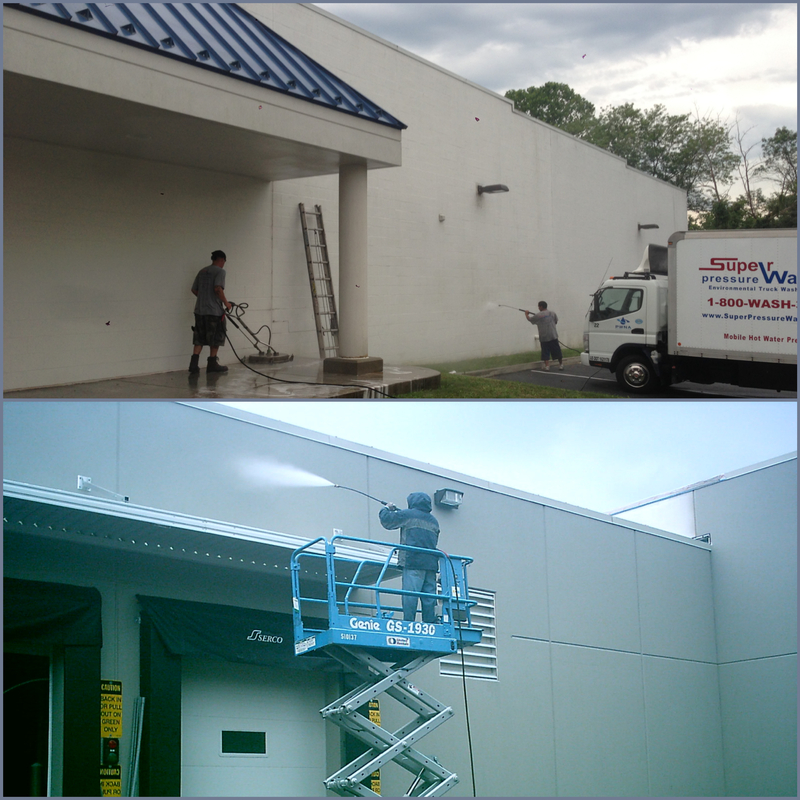 We advise scheduled exterior cleaning to support your businesses’ vision inside and out. 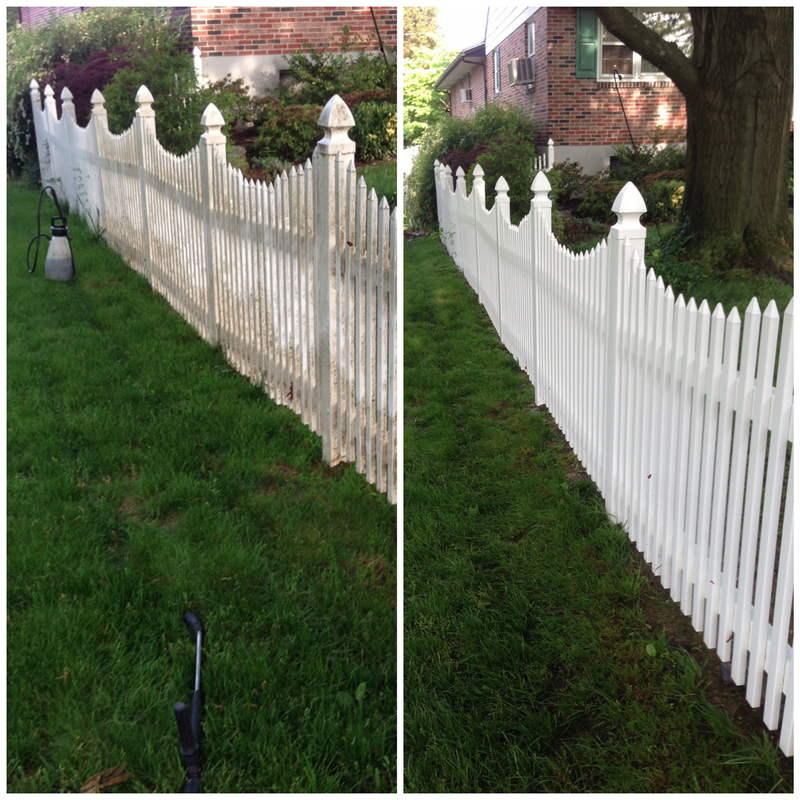 Call us now for a free estimate. 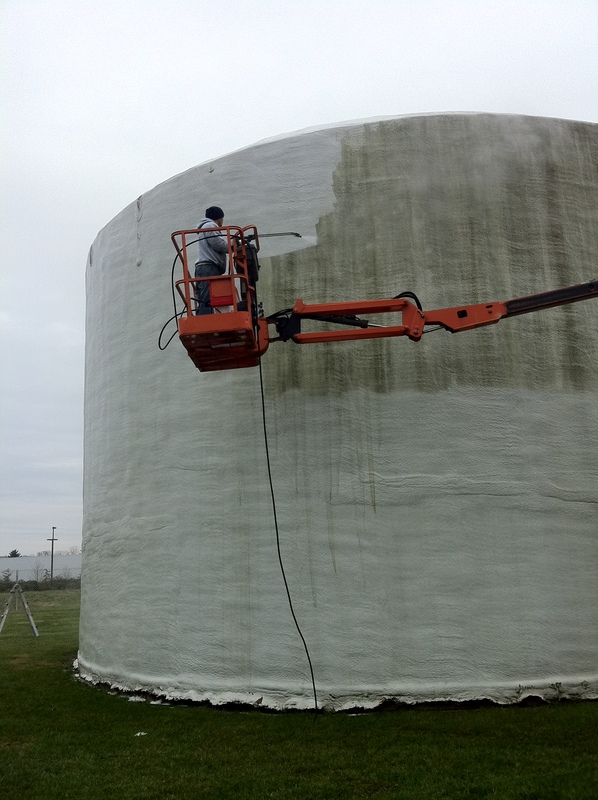 Steel structures, storage containers and silos require a special blend of chemicals. 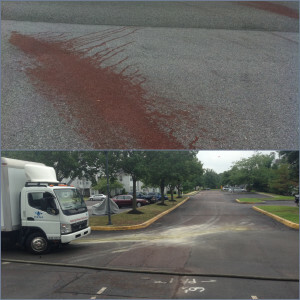 We know first hand how crucial it is to properly identify the product combination and apply it to appropriate surface. Accurate application together with hot water and good ole scrubbing will make your steel or concrete surface shiny and clean. All wastewater is collected and hauled away to a State Licensed water treatment facility. Regular wash will increase the resale value as well as life spam of your asset. Grocery stores and any other organic material handling businesses know how filthy those compactors and dumpster containers can get. Have no fear, SuperPressureWash is here. 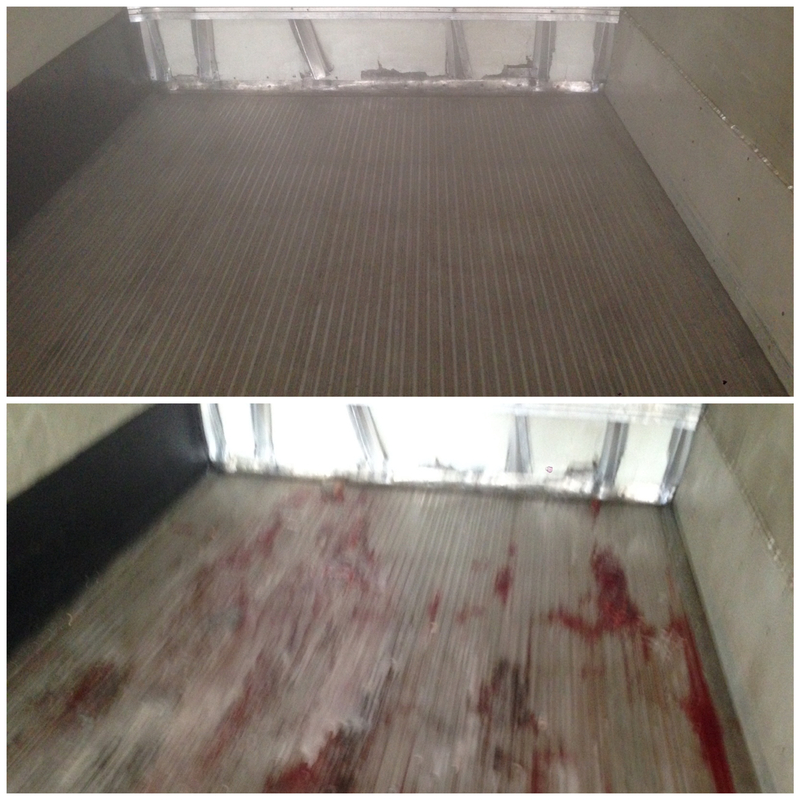 We offer fast but efficient cleaning process during which we wash your compactor following our specific routine. We inspect the chute and all the gaskets for damage and leaks. Our specially formulated deodorizing granules prevent odors from escaping. We also scrub the concrete under the dumpster while waste management company switches up the containers. While using some of our chemical compounds (for extra dirty jobs) we collect all of the wastewater and debris to dispose it in accordance with state law. Lots of customer traffic definitely earns you good revenue, however it can put a toll on the exterior of your corporate center or a shopping mall. Dirt and grime can almost become part of the facade and its surface. 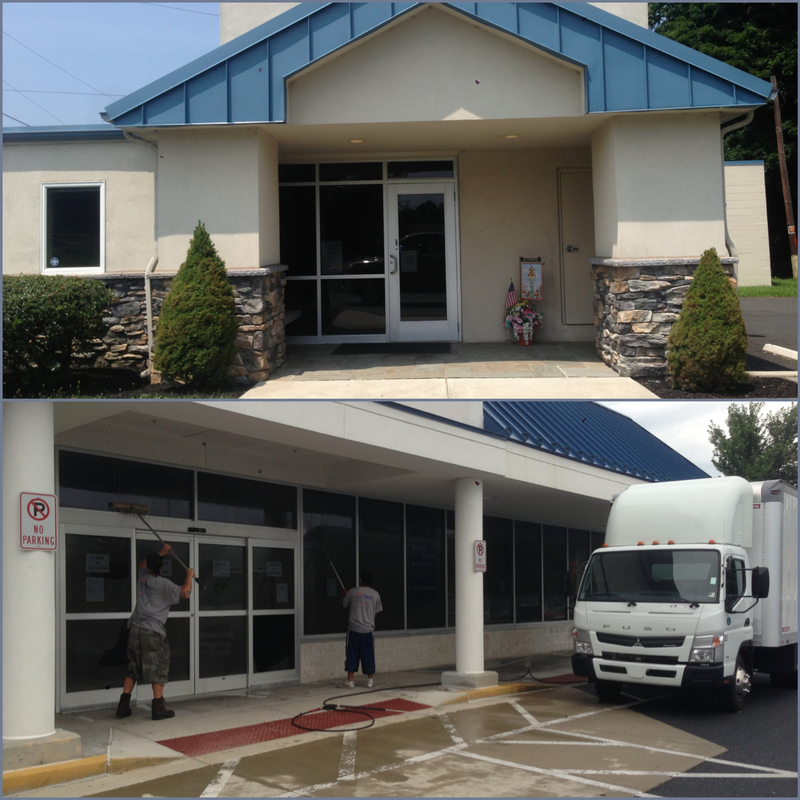 We will scrub wash and clean your glass doors, tall windows or large concrete surfaces. Please give us a call for a quick consultation. 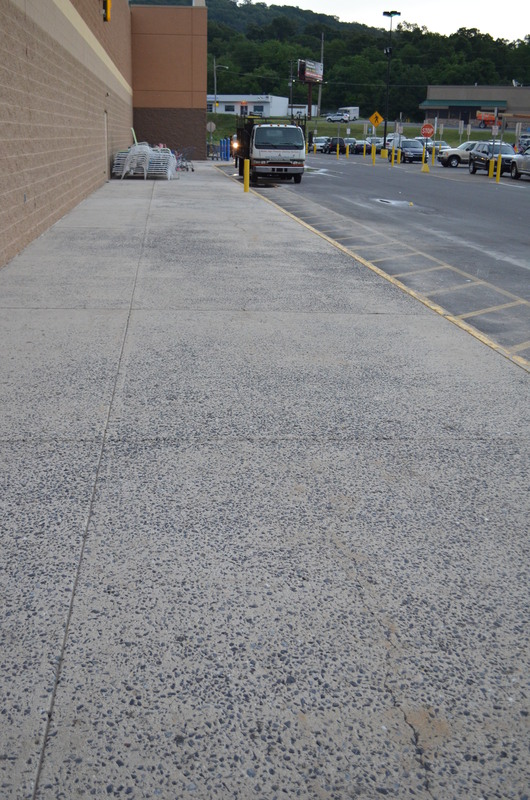 High car and foot traffic can turn your sidewalks and parking lots into an untidy mess. We formulate our special blend of products to effectively clean up and restore the appearance. We have access to sweepers and other necessary equipment to accommodate your need. 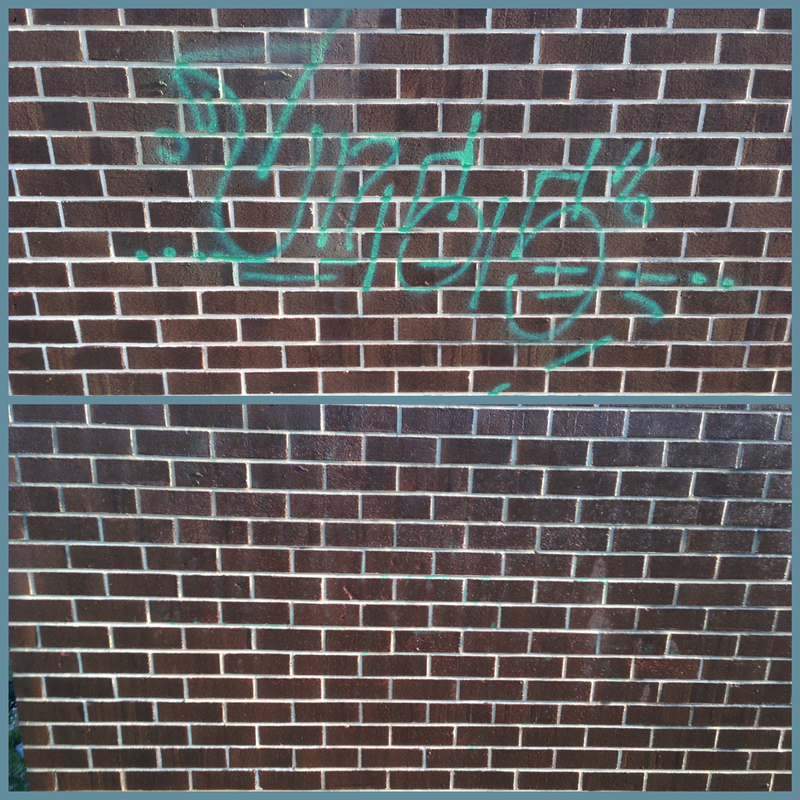 Even though some graffiti can definitely be considered art when it is placed in inappropriate location it acts more as a nuisance and must be removed promptly. Through our experience we perfected the right ratio needed to remove this troublesome street art. First we apply the mixture, then after a few minute soak we brush. For extra damaged surface we use steam cleaning in combination with hot water pressure. Please give us a call or shoot us an email for a consultation or a free estimate. Whether you have a large local fleet or a national chain of trucks and other vehicles, we guarantee that our inside and out wash service will be the best you have ever gotten at the most efficient cost. 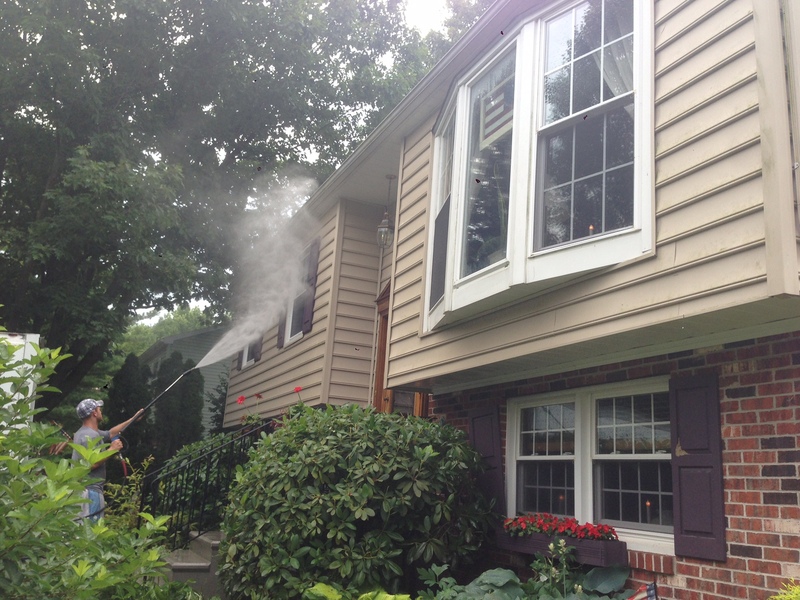 We can steam clean the inside while our 160° water and cleaning product combination takes care of the outside. 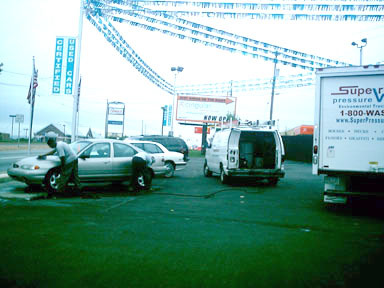 We wash cabs, engines compartments, trailers, frames and of course wheels and tires. We are available 24 hours and offer no hassle services at your location, during down time, at night or any other time specified by you. Give us a call to schedule a free demo for your fleet. 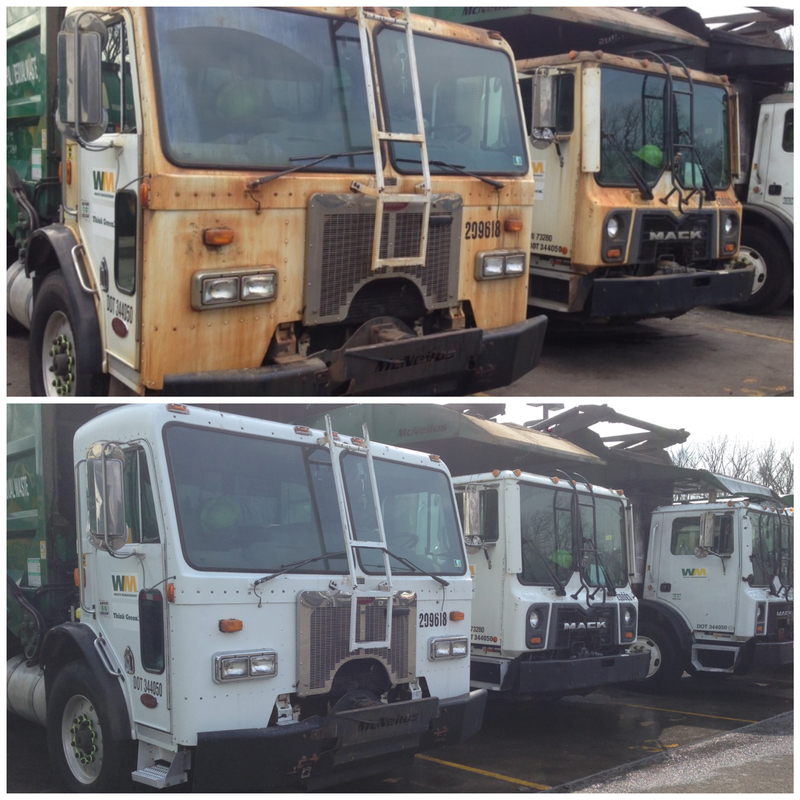 Refuse Management Fleet was one of the original reasons we got introduced to pressure washing. Daily usage of these vehicles reflects on their external presence. Our routine scheduled wash service is based on the fleets down time and ensures the most efficient and cost effective washing process. Among our clients we proudly serve several locations of Waste Management, Republic, Suburban Waste Service ( any other companies )? Please reach out to us for a free quote or demo service. Super Pressure Wash Inc has been providing on-site mobile fleet washing services for numerous local and national truck fleet operators. At Super Pressure Wash Inc, we pride ourselves on being the best the industry has to offer when it comes to the on site cleaning of vehicle fleets. Our turn-key system and state of the art technology allow us to guarantee our customers that their vehicle fleets will be cleaned and looking their best in a timely, effective and environmentally safe manner. 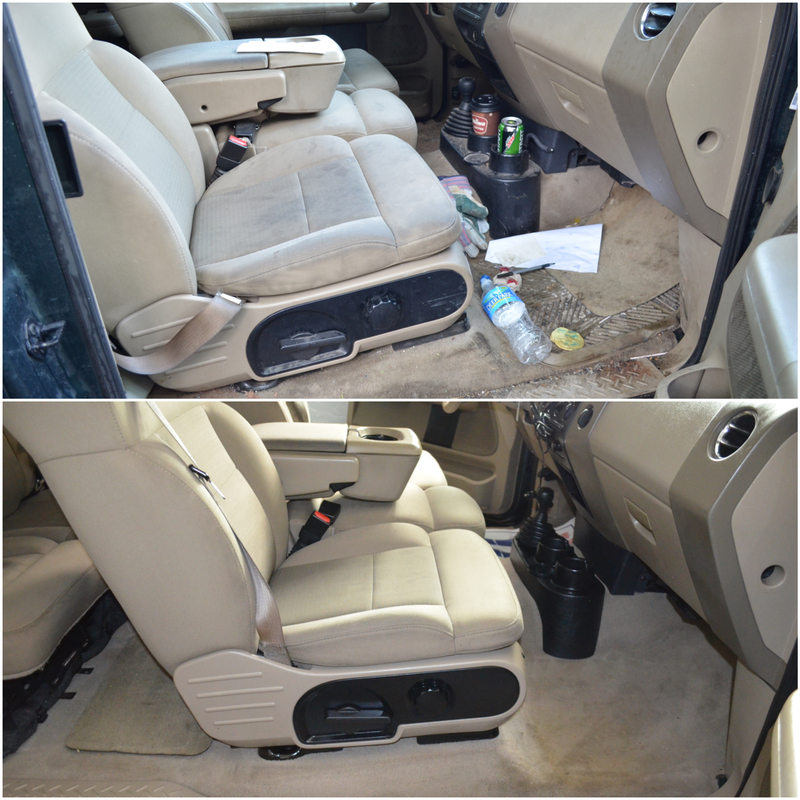 The versatility of our system allows us to clean any size vehicle or piece of equipment anywhere and anytime. For cars we provide a 100% complete hand wash service, with top quality cloths and chemicals to produce the finest shine while protecting your vehicle’s factory finish. We wash large company cars, and can offer service to regular household vehicles. 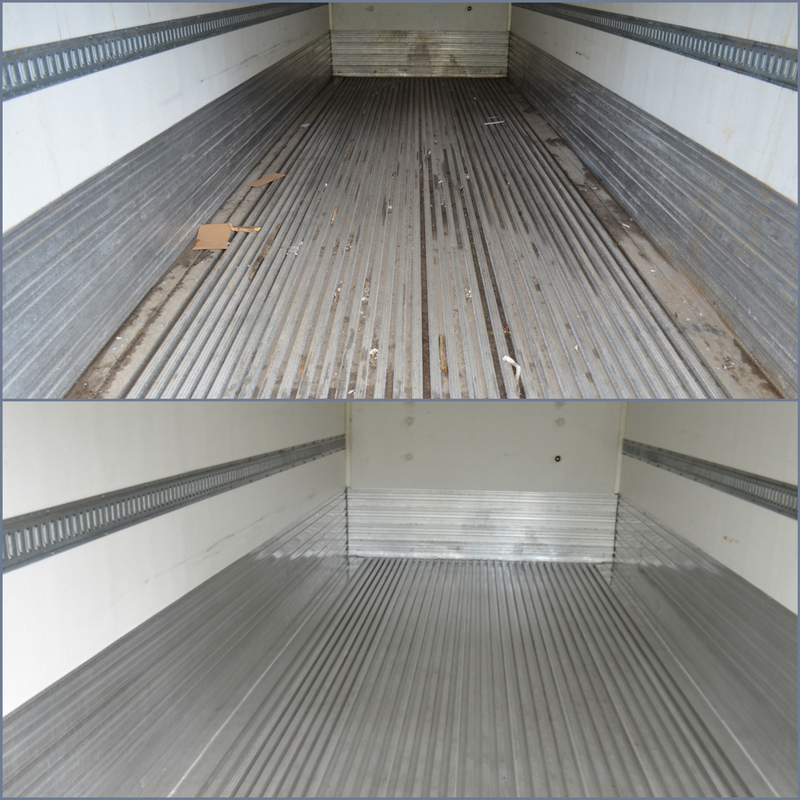 Vans and box trucks also receive special care. Our 3 stage cleaning process guarantees your satisfaction with every wash. 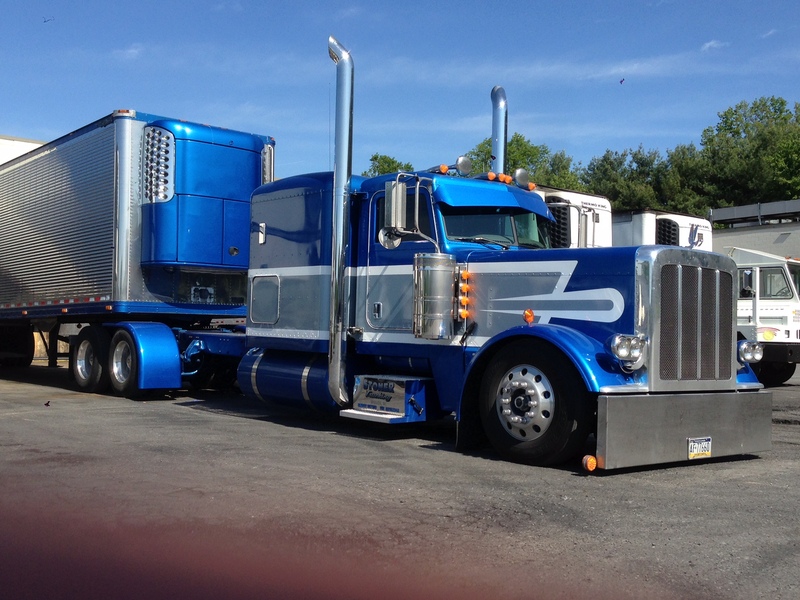 Independent contract driver or part of a national distribution center your long distance hauler represents you and your company. Our interior and exterior wash will leave you speechless. We use our own specific methods, equipment and product combination. We can do a full day dedicated detailed wash or schedule rotating repetitive wash as part of our corporate client program. 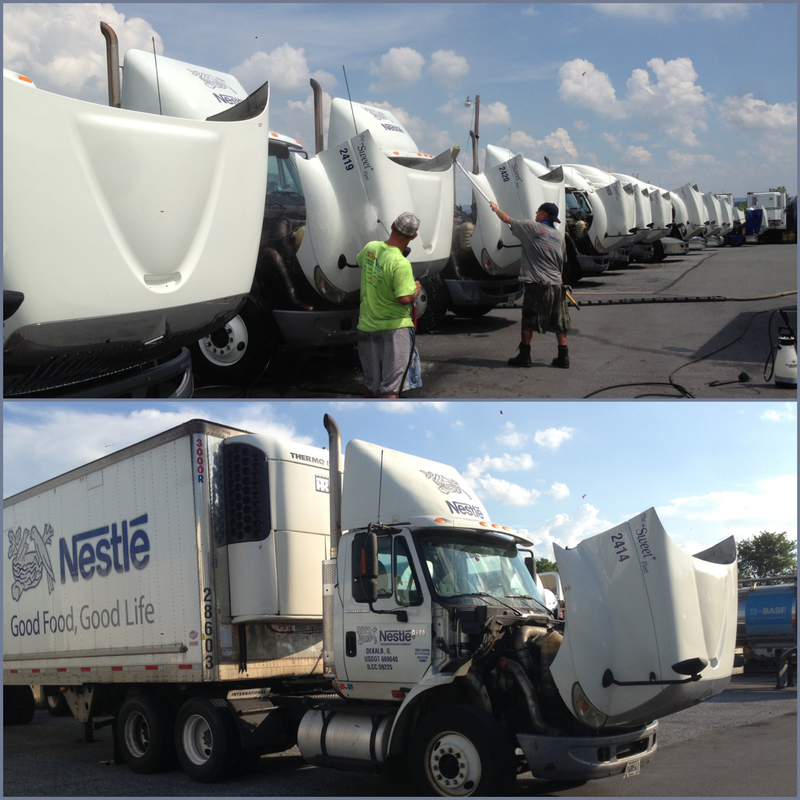 Companies like Waste Management, Republic, Penske, Pepsi, Nestle, Ryder and many more utilize our Fleet wash service as part of their vehicle maintenance. Our no hassle scheduled wash program can be done on rotating basis and at your location. We are glad to service your fleet during down time, evening or any other time designated by you. Please give us a call to schedule a free demo. Vehicle wraps and Vinyl Decals are extremely attractive and commonly used practice of promoting the businesses while driving on roadways. However removing these decals can be very frustrating and time consuming process. 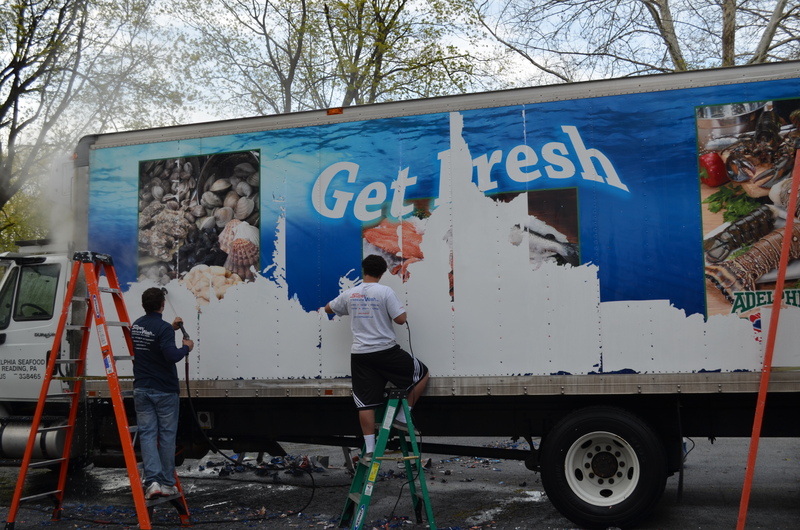 Our Fleet Washing experience has allowed us to perfect Decal removing. Give us a call and schedule a no charge appraisal appointment for your vehicle decal removal. 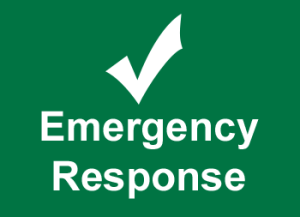 Our crews can be on location of your emergency anywhere in Pennsylvania, New Jersey, Delaware, Maryland and New York. Clients like Waste Management and others in the refuse business can attest to our fast response and high quality work. Let us save your Business from customer complaints and detrimental impact of Environmental hazard fines and hassle. We use EPA approved booms and dikes to seal all possible drains and prevent contamination of central waterways and sewers. Our industry leading equipment and skilled personnel recover and cleanup the debris and fluid spills in most environmentally safe manner. Qualified professionals on our Emergency response team are armed with EPA and OSHA approved equipment and are ready to minimize the impact on environment and your pocket. We are standing by for an immediate response to your Emergency. Biological and Chemical contaminants are required to be properly removed and disposed in accordance with federal and state regulations. 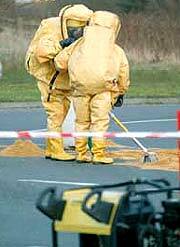 Our certified and trained associates will securely contain, extract and dispose all toxic particles and substances. The wastewater from our washing chemicals or emergency spill clean up can be extremely harmful to our environment and us. 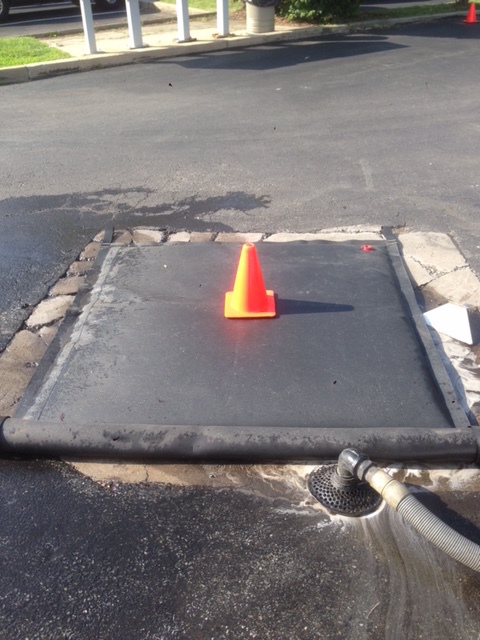 We channel and pool the wastewater isolating it from the drains. Once contained we collect the wastewater using our special vacuum system which if necessary can handle 500 feet of hose and keep up with up to 5 pressure washers. EPA can charge your Business crippling fines and penalties for improper spill management and wastewater disposal. We have permits, certifications and established relationships with the local wastewater treatment plants. All of our discarded water and other contaminates are disposed in accordance with Federal and State regulations and can be traced from source to final disposal.